Private cloud infrastructure company Mirantis Inc. today updated its Mirantis Cloud Platform, enabling its customers to run Kubernetes on bare-metal servers or in on-premises data centers for the first time. Mirantis launched its Cloud Platform back in April 2017, delivering OpenStack, the private cloud platform, and Kubernetes, the container orchestration software, as a single integrated package along with a new update model. The platform is used by enterprises, mostly in the telecommunications industry, to build private clouds hosted in their own data centers. The Mirantis Cloud Platform was an evolution of the Mirantis OpenStack distribution, which was the company’s original focus. Kubernetes was effectively an add-on to that platform. At the time, Mirantis co-founder and Chief Marketing Officer Boris Renski told in a report it was combining the two technologies after seeing a big demand from its customers for a more unified cloud platform that can orchestrate different infrastructures together, instead of managing different isolated stacks on separate hardware. The new Mirantis Cloud Platform release features a new technology called Virtlet, which allows application containers to run on bare metal servers, the company said. In addition, Virtlet can also use Kubernetes as a resource scheduler for virtual machines, or computers emulated in software, which are increasingly being used alongside containers because they provide an extra layer of security. 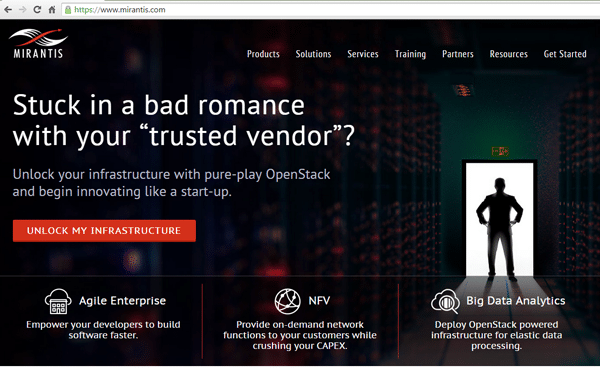 Other highlights of the release include an upgrade to the latest OpenStack Queens and Kubernetes 1.11 versions, plus OpenContrail 4.0, which is a network virtualization service that’s used to run VMs on bare metal servers. The platform also features updates to the DriveTrain component upgrade pipeline, granular OpenStack Ocata to Pike Upgrade pipeline, Kubernetes Upgrade Pipeline, and “security improvements” in all areas, the company said. The new Mirantis Cloud Platform, unveiled at this week’s KubeCon North America event, follows the recent launch of Mirantis’ Cloud Platform Edge, which is essentially a lighter version of MCP designed for telecommunications firms that need an easy way to roll out 5G services at the network edge.